Every homeowner needs to make major home repairs every few years. Not all home repairs can be taken up as “Do It Yourself” projects. Call (713) 896-9548 & talk directly with the owner. Major repairs require skills, expertise, and knowledge. These qualities can only be found in a Kingwood home repair handyman with experience. So, it is better to entrust professionals for major repair projects in your home. You surely wouldn’t like repairs of your beloved home be given to an inexperienced Kingwood home repair handyman, would you? 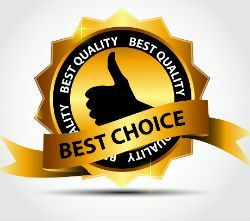 Does simply choosing a contractor ensure quality work? Of course not! Choosing the wrong Kingwood home repair handyman is worse than doing it yourself. Inexperience and lack of commitment can lead to delays. These also result in low quality work. Repair cost is not the sole factor for choosing a contractor. Sometimes, paying high does not ensure quality work. On other hand, it is possible to get a great job done at a cheap cost. Choice of contractor must be done based on his expertise and experience. A Kingwood home repair handyman is basically a contractor that specializes in home repairs and renovations. If you look for handymen in the Yellow Pages or on the internet then you may find either single individuals or home repair companies who are advertising their services. Both options may be fine but you have to make sure they are licensed and have a track record of customer satisfaction. Every state and local government agency in the United States has some sort of business regulatory department that oversees all the business licenses registered within their jurisdiction. In the state of Florida, this is called the Florida Department of Business & Professional Regulation. They even have a website where you can search for the business licenses of individuals and businesses right over the internet. Most major cities in America should provide internet access to this information, but if you live in a town that doesn’t then you can just go down to your local courthouse and search this information there. What you want to search is the name of the contractor or their company name. The results should tell you if they have an active license or not. Sometimes you may find they have an inactive license with the reason for why it is inactive listed on the report. But regardless of the reason, you only want to deal with handymen who have an active license. Besides checking for licenses, you should also look up customer reviews of these Kingwood home repair handyman. You can go on Angieslist.com and see verified customer reviews of almost any registered business around the country. These are not fake reviews that are written by an anonymous person. All the reviewers on this website are screened and have had their identities verified by the moderators. This means you can trust the ratings that you see on this website. So if you look up a contracting company on Angie’s List and they have a lot of negative reviews, then you will definitely want to stay away from them. On the flip side, if they have a lot of positive reviews then you should consider using them. But if you don’t find any reviews, then it either means they are a very new Kingwood home repair handyman, or an unregistered business. Either way you will want to keep searching until you find a handyman or contractor with some verifiable positive reviews. If they are licensed and the reviews are good then you should go ahead and hire them to take on your home repair job. Analyze – Check every room and area in your home. Make a list of repairs required. Classify them into essential and secondary repairs. Prioritize these repairs based on your time and budget. Categorize – Group together different Kingwood home repair handyman tasks based on their nature. They can be grouped as general repairs, roof repairs, and more. This will help with planning. Recommendations – Seek recommendations from friends, colleagues, and family. You can gather positive and negative reviews. Use the experiences of other people to make a better choice of contractor for yourself. Research – Research for home repair contractors online. Check business directories, find contractors and contact them. Specialization – Always seek specialized contractors instead of general ones. The services of contractors are listed on their website. License – You should make sure the Kingwood home repair handyman is licensed to carry out home repairs in your area. Check their website to get an idea of their brand reputation. Home repair companies are bound by strict regulations. Check to see if the contractor is insured. Written commitment – Get a written commitment for all the repairs that the contractor commits to do. All details must be mentioned on paper. There should not be any hidden charges. Most homeowners get surprised by the bill after the repair works are done. Interview – Though it may sound surprising, you must interview the contractors. It will give you an idea of their confidence and experience. Interview at least 3 contractors before making a decision. You can also ask them for client testimonials. Budget – Home repairs can spiral out of budget. Once repairs are started, it becomes difficult to control them. Mention your budget to the contractor in early stages discussion. Communicate – Always stay in communication with your contractors. Keep an eye on the progress of the home repair work. Ask questions at every stage. Break down the tasks into stages. Analyze progress at end of each stage. Research well and make your choice of contractor. Don’t rush into a decision. You need to trust your contractor, so their track record is important. Make sure you make right choice on who performs your home repair.